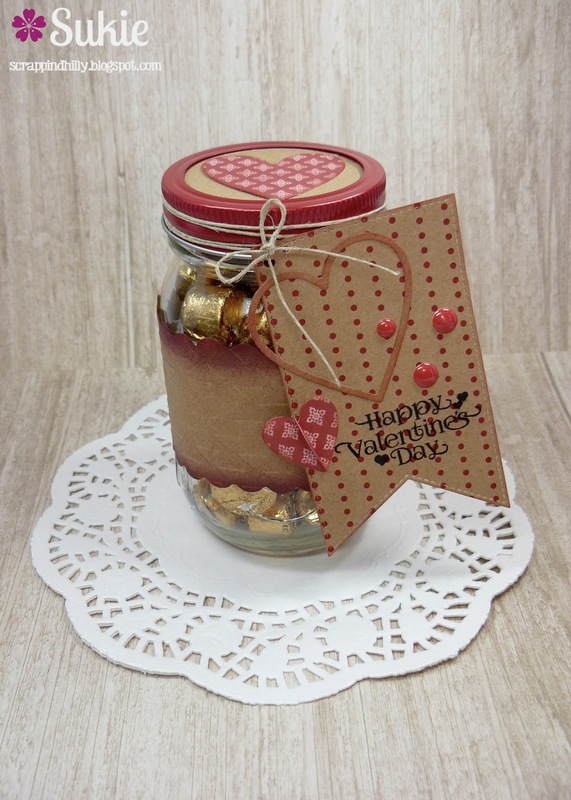 Hello, this is Sukie and today I have a Valentine's Treat Jar to share which is perfect for gift giving. 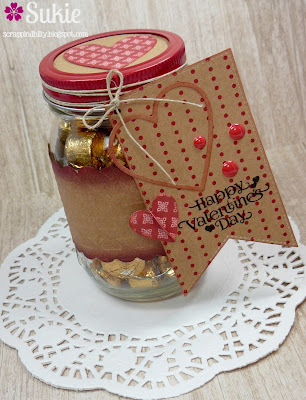 I purchased a couple of mason jars during the after Christmas sales and knew they would be perfect for filling with treats. 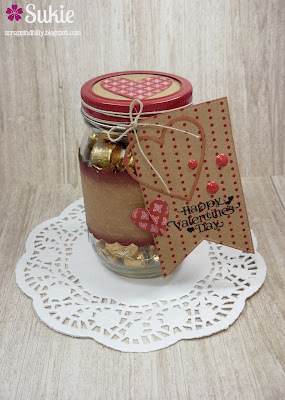 I used a basic punch and created a simple belly band for my jar. 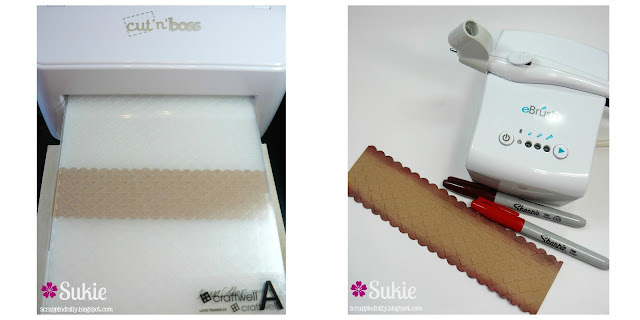 To add some texture, the belly band was embossed with the gorgeous Love Triangles embossing folder. Next I shaded the edges of the belly band with my eBrush with 2 different colors for added depth. I cut out some hearts with the Teresa Collins Pocket Dies. 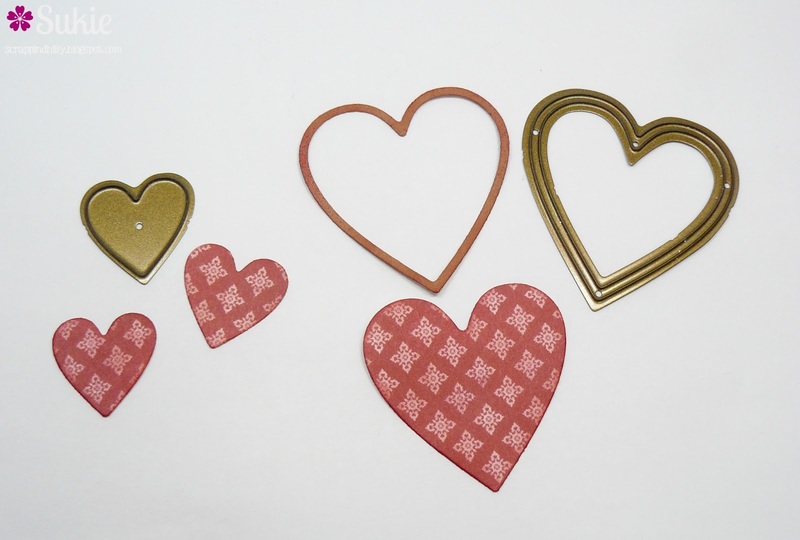 The 2 smaller hearts were glued together to create a 3D effect. All of the die cut pieces were adhered to a banner flag which was stamped with a sentiment from the Scrappy Moms Truly, Madly, Deeply (retired) stamp set. I added the larger heart to the top of the mason jar. A few scattered enamel dots were the finishing touch on my project. Thanks so much for stopping by! Have a wonderfully crafty day! This is so beautiful, Sukie!! 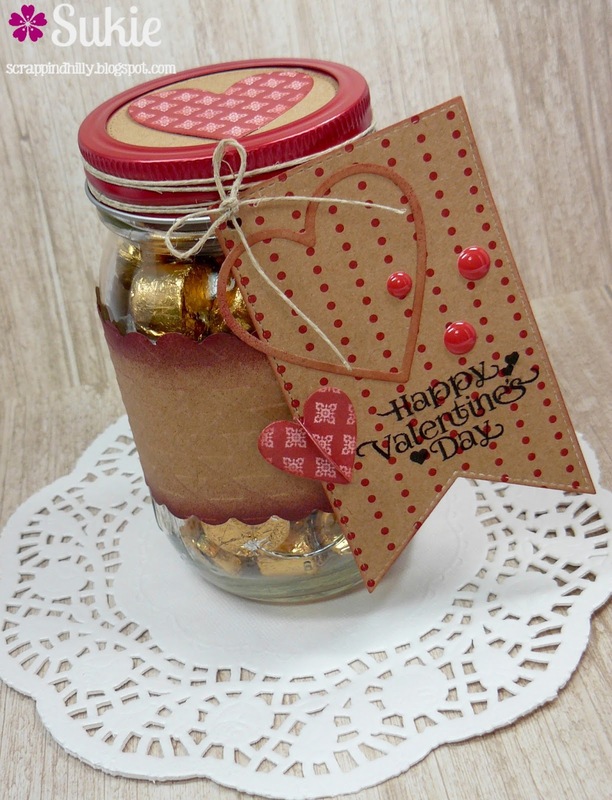 You decorated the jar perfectly!! It makes an amazing gift!! So, so gorgeous! !